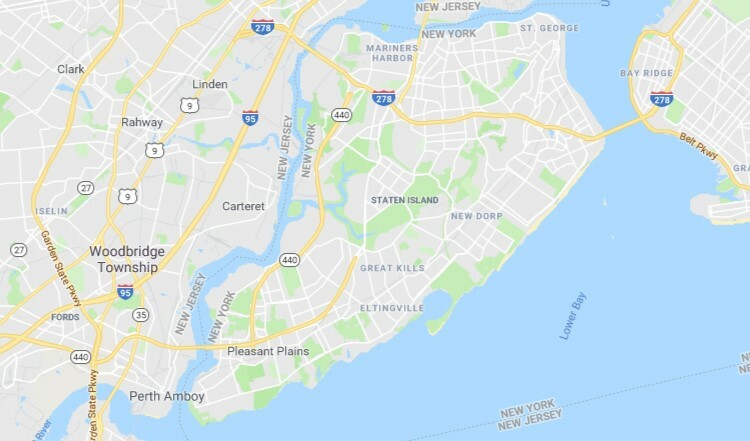 Riverhead is a census-designated place (CDP) roughly corresponding to the hamlet by the same name located in the town of Riverhead in Suffolk County, New York on Long Island. The CDP's population was 13,299 at the 2010 census. According to the United States Census Bureau, the CDP has a total area of 15.4 square miles (40 km²), of which 15.1 square miles (39 km²) is land and 0.4 square miles (1.0 km²), or 2.33%, is water. The hamlet contains the principal downtown area in the Town of Riverhead and one of the largest in Suffolk County. Outside of this downtown area are rural sections which contain both active farms and residential developments. As of the census of 2010, there were 13,299 people. The racial make up of the CDP was 66% white, 15% African American/Black, 20% Hispanic or Latino, 1% other races As of the census of 2000, there were 10,513 people, 3,878 households, and 2,547 families residing in the CDP. The population density was 696.5 per square mile (269.0/km²). There were 4,167 housing units at an average density of 276.1/sq mi (106.6/km²). The racial makeup of the CDP was 89.98% white, 02.82% black or African American, 0.55% Native American, 1.13% Asian, 0.08% Pacific Islander, 2.15% from other races, and 2.29% from two or more races. Hispanic or Latino of any race were 2.03% of the population.